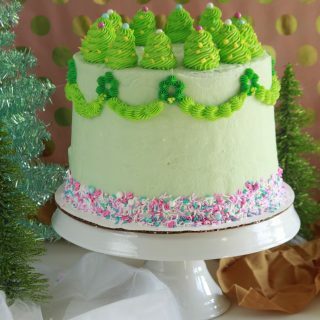 This Pistachio Creme Cake is a trip to the Floating City itself! 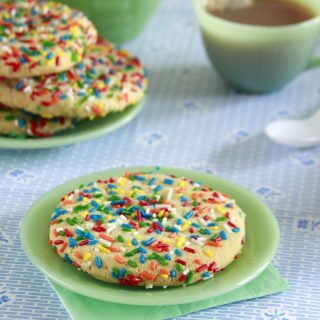 A pistachio filling is the star complimented by a yellow cake and a coffee chocolate frosting! 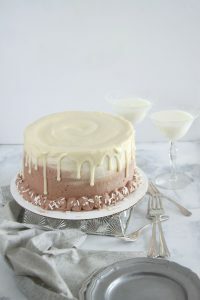 This White Russian Cake is a perfect way to get through January! 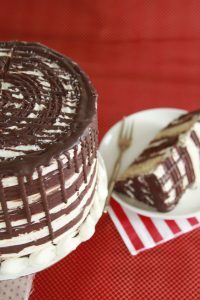 A swirled cake of vanilla and rich chocolate are soaked with a Kahlua reduction. 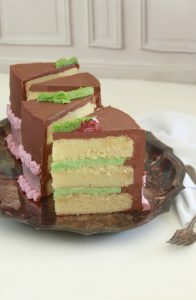 To continue the swirl, a marbling of vanilla and chocolate frosting and shiny white chocolate drip finish off this classic cocktail cake! 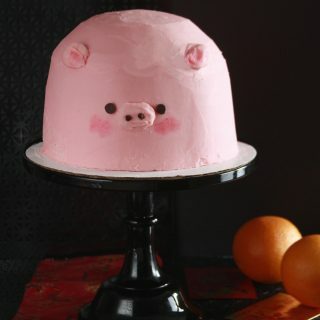 Ancient Astronaut Theorists believe that this Ancient Alien Cake is legit. 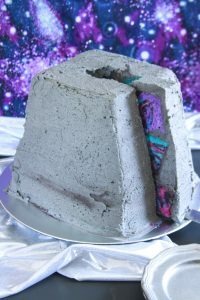 Further evidence of this legitimacy can be found in the three layers of cosmic swirled cake and Oreo frosting, making for an ancient megalithic structure! This Deep Fried Oreo Cake mimics the country fair’s best desserts: Fried Dough and Fried Oreos! Layers of cinnamon-sugar and Oreos give this rich vanilla cake batter the taste of deep fried goodness! 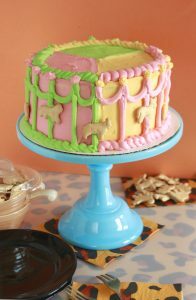 Colorful cream cheese frosting provides a whimsical design that takes inspiration from vintage images! This Marble Blue Cheese Layer Cake puts a new spin on a classic savory cheese. 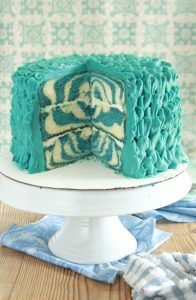 A blue velvet cake batter is paired with a blue cheese infused batter to make a swirled masterpiece! Dress up with this Tuxedo Mud Cake! Rich and moist Australian Mud Cakes nestle between alternating layers of chocolate and white chocolate frostings! This June Afternoon Groom’s Cake is the perfect side-kick cake in any wedding! Four ultra moist layers of cake are shaded to a storm gray and folded with crushed and chopped oreos. 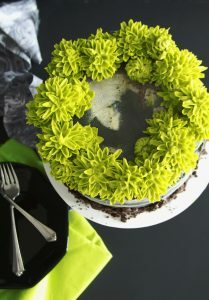 A white and gray watercolor cake design is topped with an abundance of crisp green chrysanthemums! 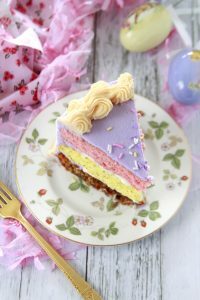 This Easter Medley Cake exudes springtime! 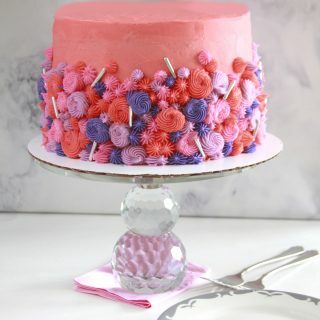 Each cake layer is different—one fresh strawberry, one lemon poppy seed, and one carrot. A velvety coconut cream filling and a classic cream cheese frosting pull this variety cake together! This Supreme Chocolate Peanut Butter Cheesecake Cake is just that—supremely perfect. 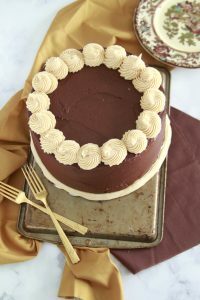 Rich and moist chocolate cake layers alternate with creamy peanut butter cheesecake layers. 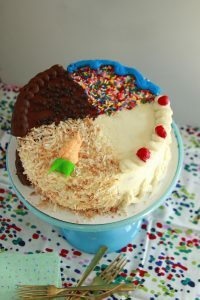 This cake also boasts a peanut butter cookie dough layer, peanut butter cream cheese frosting, and chocolate frosting!